Red month, sweet month, chocolate month, heart month—call the month of February as you please but the shortest month in the Gregorian and Julian calendars will always be known as the month of love. A romantic rendezvous under the starry night while having dinner is probably the most common thought when asked how they’d like to celebrate Valentine’s Day with their significant other. That or a simple movie date would do too—but what if there’s another option aside from the traditional ones that won’t cost you an arm and leg? …And there is! Experience the magic of kilig at the home of all things fun and enchanting. 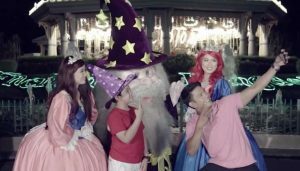 Here are five ways on how to spend a playful yet romantic Valentine’s Day at Enchanted Kingdom! VDay wouldn’t be complete without all the sweet treats—and that’s what the Magnolia Ice Cream Flavor House is for! 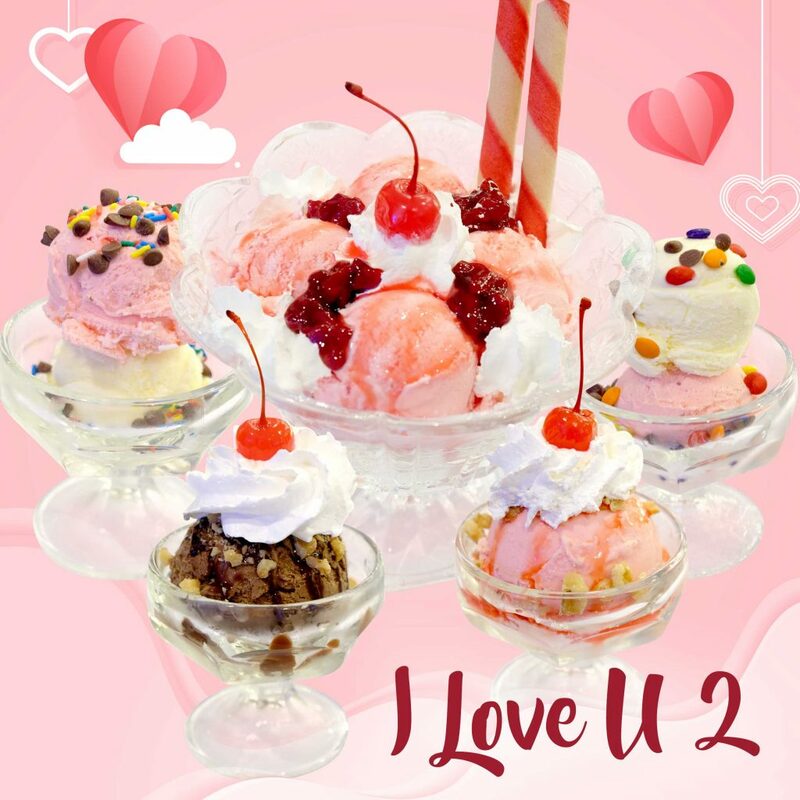 Avail of the “I Love U 2”* promo to get 1 chocolate and 1 strawberry sundae OR 1 chocolate and 1 strawberry double scoop ice cream OR 1 special strawberry sundae at P143! Share this treat with your date but make sure you have what it takes to keep them warm! Enchanted Kingdom is not only about the rides and attractions, but food adventures too! Here’s an advice: keep one hand free to hold the hand of your date during your food trip! 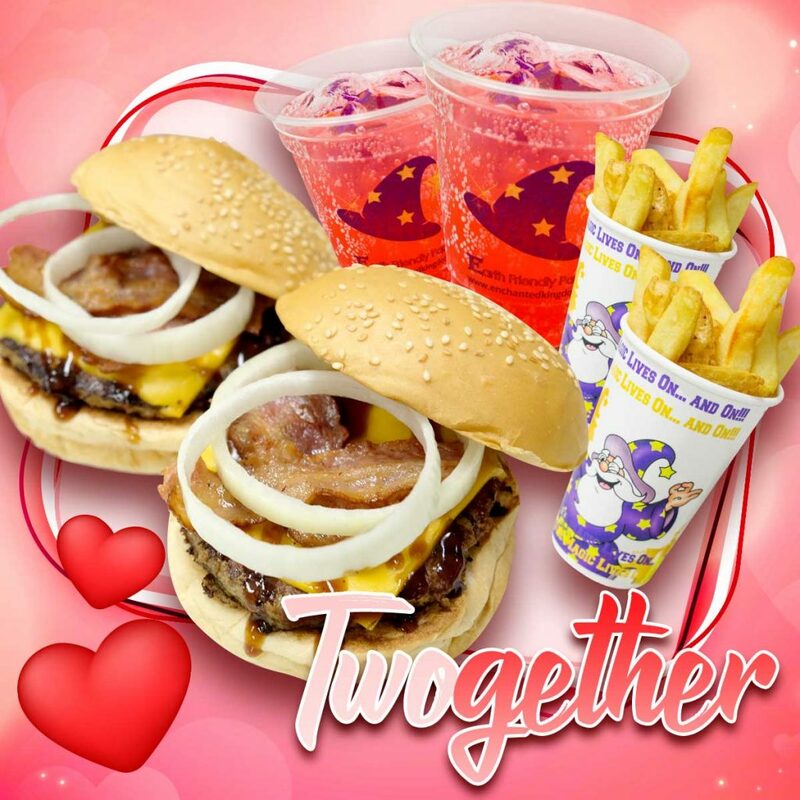 Start your foodventure at Diggers Treat with their “TWO-gether”* promo where you get 2 Cheesy Bacon Mushroom burger paired with 2 regular fries and 2 servings of Red Iced Tea at P349. 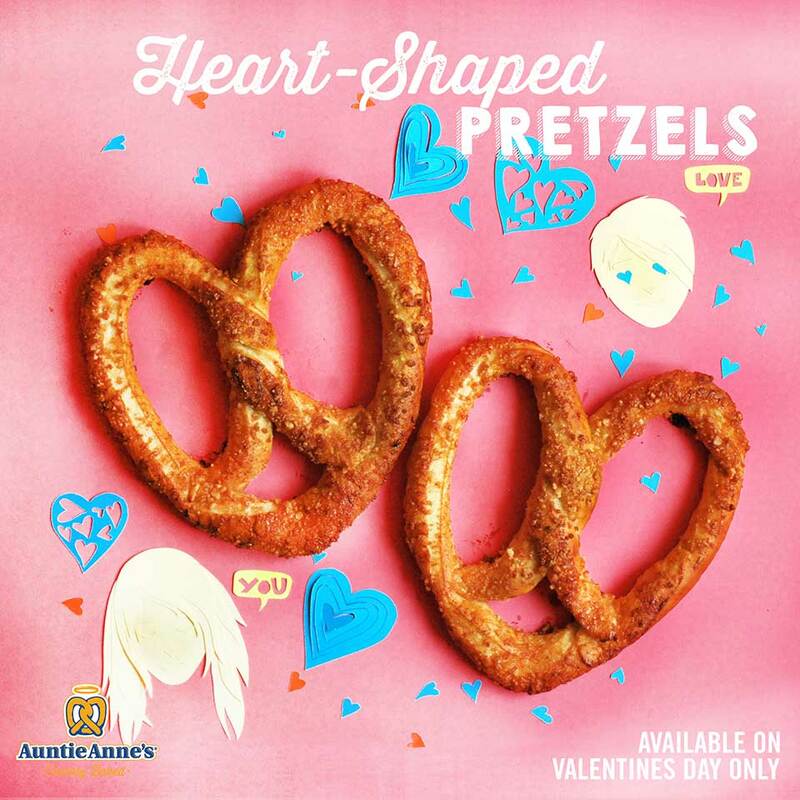 You can’t literally give your date your heart, but you can get your date a heart-shaped pretzel from Auntie Anne’s! Take note: this is only available on February 14! Now that’s a way to keep your tummies (and hearts) full! If both of you want to just chill and hang out, head to Brooklyn Place! Feel the old school city vibe as you walk down the road of one of New York’s famous boroughs. Another tip: It’s much better at night when Eldar’s Symphony lights up the strip! Forgot to bring flowers? We got you! Why not do the unexpected and give something that will remind them of this magical day? Anything from an Eldar stuffed toy to a locally-made bracelet will definitely do the trick. Take a look at our Souvenir Shops to get the perfect gift for your perfect date! Don’t have the guts to say those three words, eight letters yet? Say it subtly with Vice Cosmetics! 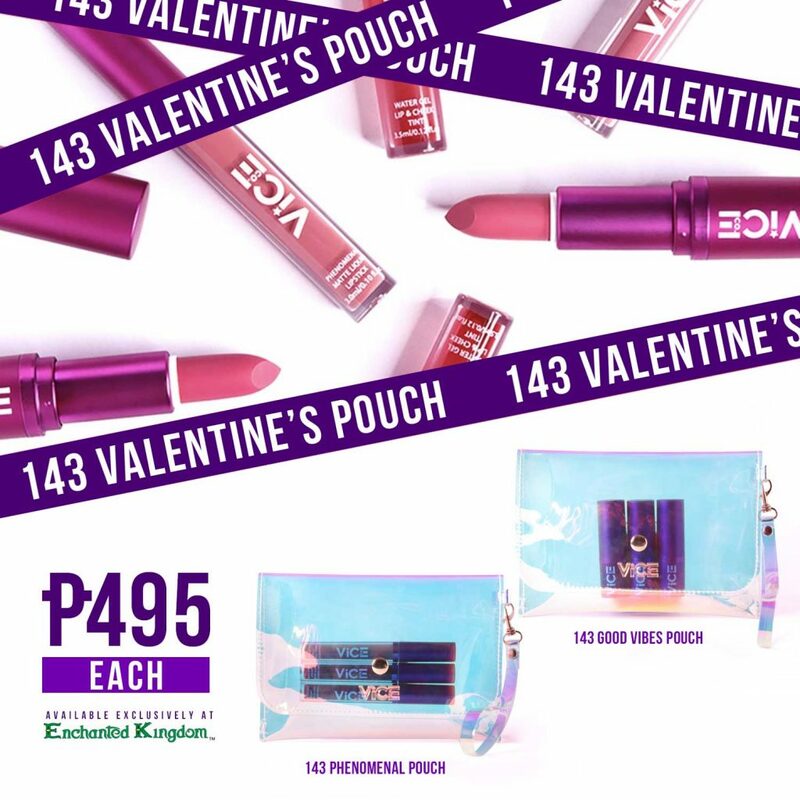 Get your hands on the 143 Valentine’s Pouch**, which includes 1 pouch 4 3 lipsticks at P495! We’re pretty sure you’d want some quality time alone with your date… and that’s what the Wheel of Fate is for! 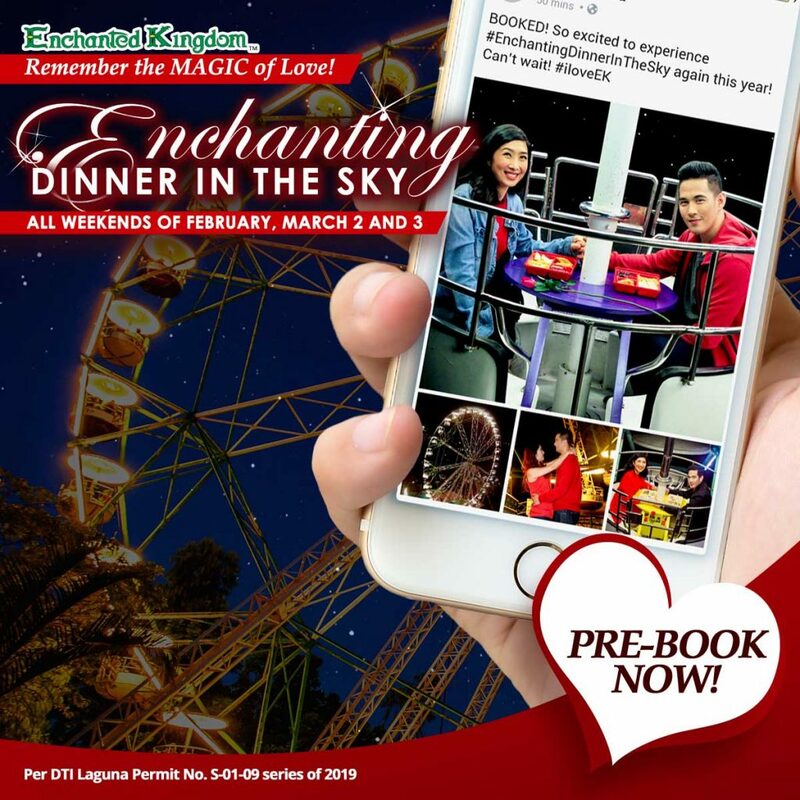 Take your date on an Enchanting Dinner in the Sky with a beautiful 360-view of Enchanted Kingdom and Santa Rosa. 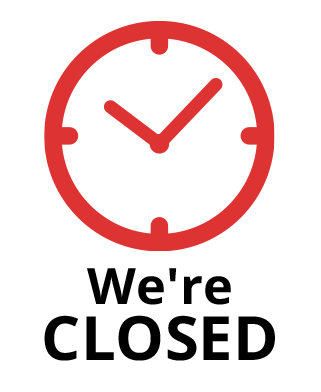 This special event will take place on all weekends of February, including February 14 and 15, and March 2 and 3. PRE-BOOK NOW to reserve a gondola and take your love to a whole new level. Once you’ve done all these, we’re sure it’s a Valentine’s date you will never forget. 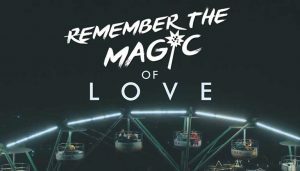 Come and remember the magic of love at Enchanted Kingdom! *The Diggers Treat’s ‘TWO-gether’ and Magnolia Ice Cream Flavor House’s ‘I Love U 2’ promos are valid from February 2 to March 4, 2019 only. Available to all walk-in guests. **Vice Cosmetics’ 143 Valentine’s Pouch is exclusively offered at Enchanted Kingdom.